The little girl in my house was a gasp with excitement when PlayMonster Toys sent her a My Fairy Garden: Magical Cottage™ to try out. This playset at first glimpse appears to be a flower pot but take a closer look and you'll find out it is the enchanting home of Freya the fairy. This toy combines a doll house with a garden. Kids can plant a real garden around Freya's home and when its seeds have sprouted they'll have fun pretending the included fairy figurine is frolicking about her cottage. With opening doors and furniture for the inside, children can play with the Freya both in her cottage and around the garden that surrounds it. My daughter couldn't wait to dig in and get her garden started. 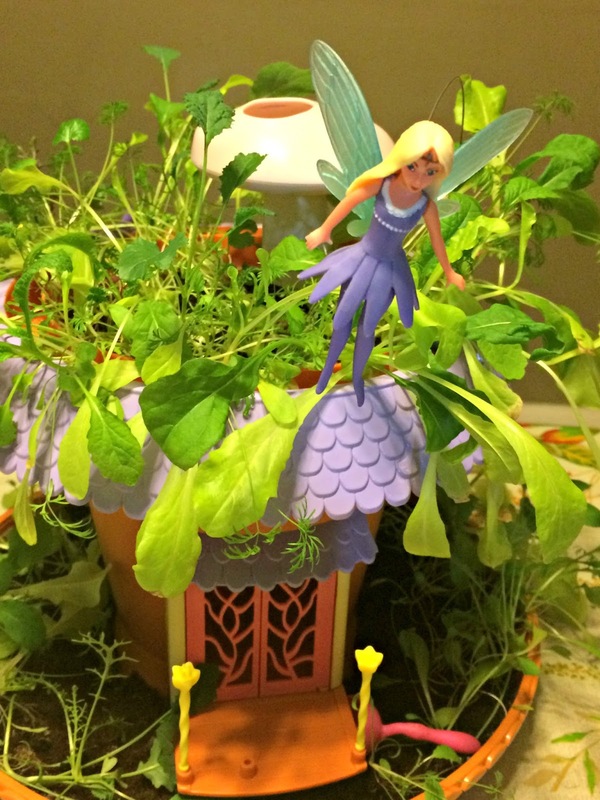 My Fairy Garden: Magical Cottage includes a flowerpot cottage, tray, cottage furniture, rooftop trim, toadstool, Freya the fairy, a figurine of her chipmunk friend Hazel, and gardening accessories and tools. 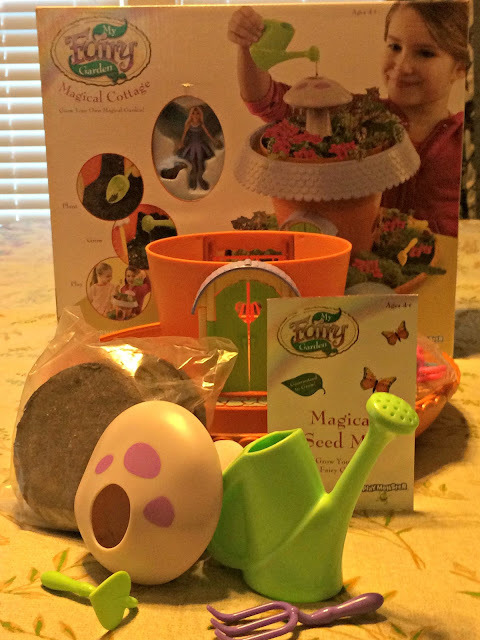 Also included are soil and quick-germinating seeds to setup Freya's garden. To get started cultivating the garden take the 3 included disks of soil and place them in bowl or bucket. 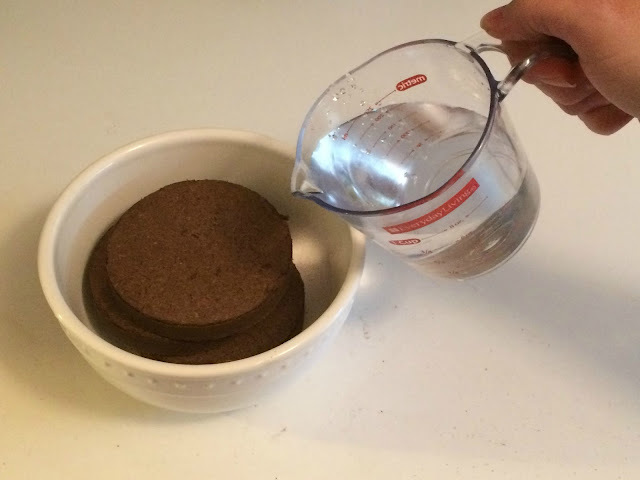 Add some water and stir up the mix so that it can be distributed evenly throughout the gardening trays along the base and roof of the doll house. Next plant seeds from the included packet around the cottage. The toy set includes some miniature tools such as a shovel, rake, and hoe to help get everything in place for growing a garden. Once the seeds have been sowed place in a spot with plenty of direct sunlight and water the soil daily with the included watering can to get the garden sprouting. From our experience, it appears children should be able to put together the cottage and garden on their own with some minimal adult assistance and supervision. My daughter was so proud of herself for putting together her Fairy Garden Magical Cottage on her own without mom and dad doing it for her. 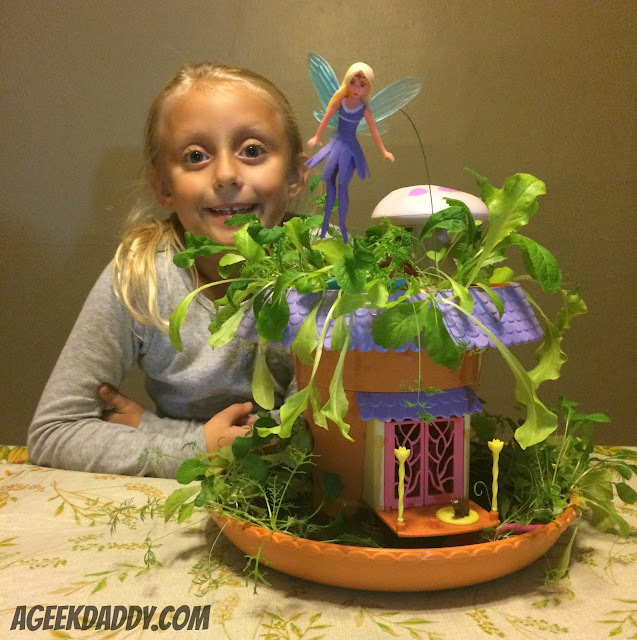 CLICK HERE for full instructions on preparing and caring for a fairy garden. 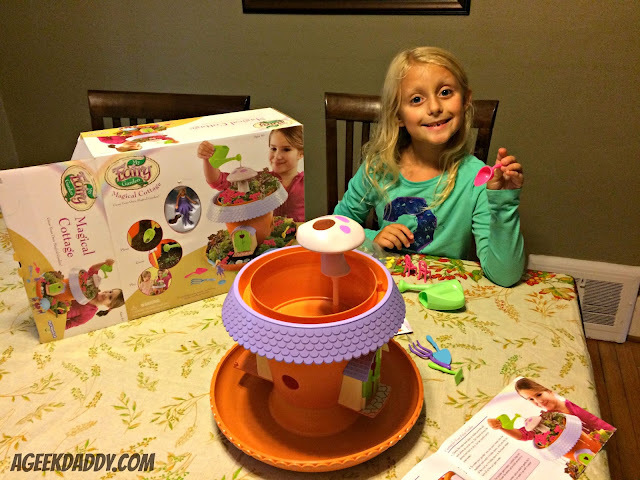 My Fairy Garden toys are recommended for children 4 and up. Everyday after school the first thing my daughter would do would rush to check on and water her fairy garden. 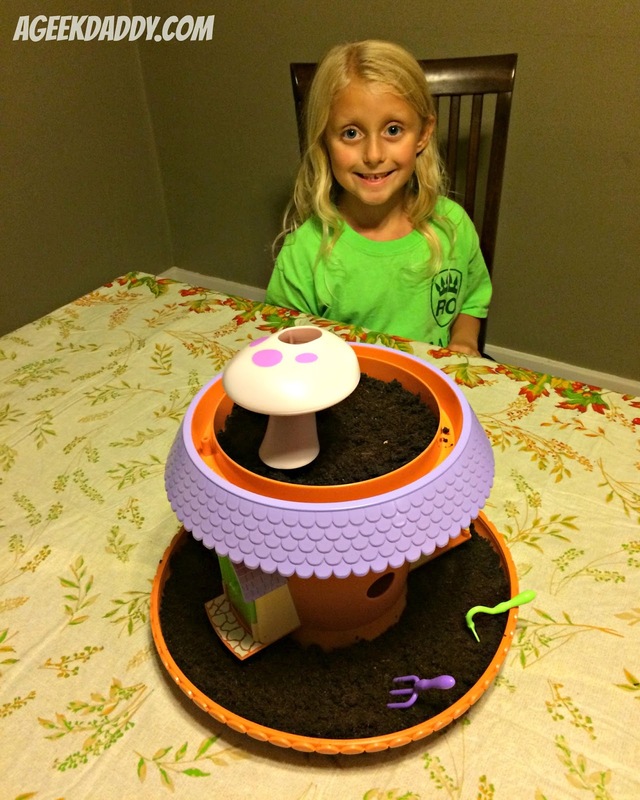 It really is amazing how excited she was about planting her garden and watching it grow. After a week the first signs of life began popping out. Within two weeks she had a garden setting to play with the included figurines in. Her garden developed just in time for her to enjoy it throughout her Christmas break from school. She spent hours pretending Freya and Hazel were enjoying tea in their cottage or having picnics on the garden terrace. The fairy figurine can be placed on a wire making it look like she is flying over the garden or can placed on the ground or inside the cottage to be played with as well. 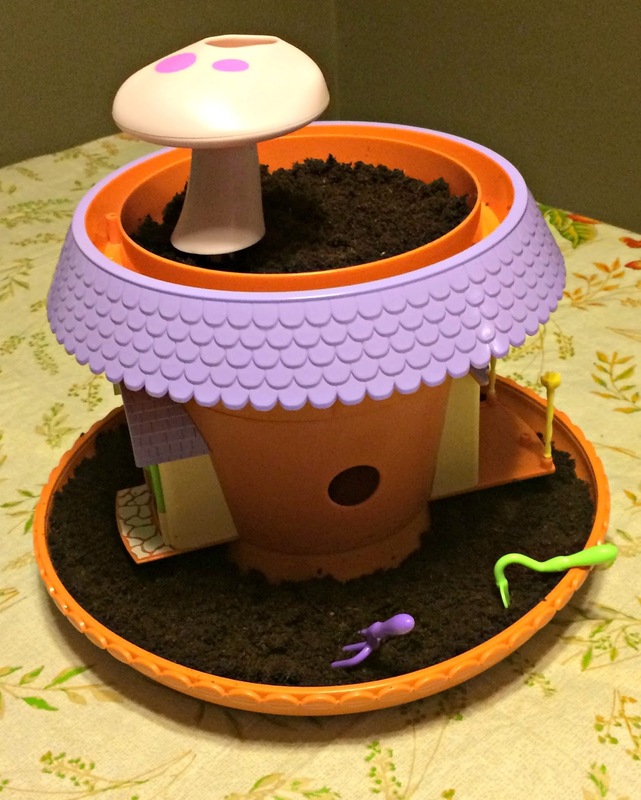 To be honest, the garden that sprouted didn't look anything like the one on the box. In my opinion it looked more like a salad plate than a flowery bouquet. That didn't matter to my little girl though who loved what grew because she had planted and cared for it herself. She's thrilled with the garden she grew and has had lots of fun having pretend fairy adventures playing with this playset.